Strasbourg, Alsatian city, home of the European Parliament. In the Petite France district, you will see many half-timbered houses typical of the Rhine basin. 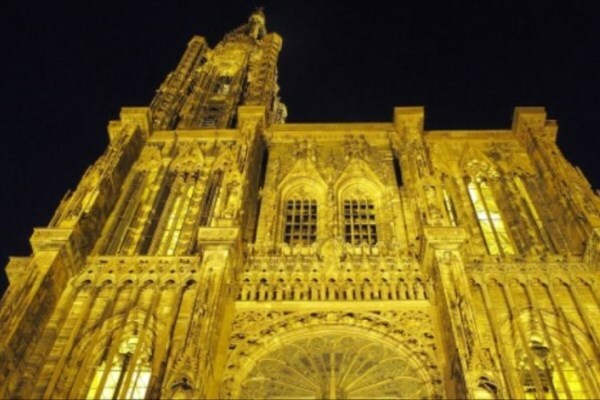 The splendid cathedral of Our Lady of Strasbourg stands near the Maison Kammerzell, which dates from the 15th century. Its timbers are some of the finest in the town. Another curiosity in Strasbourg is the Ponts Couverts, former medieval fortifications that used to protect the city. 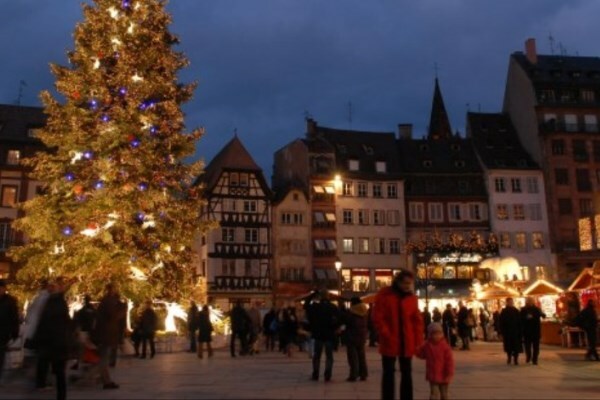 Every year in December, Strasbourg holds a Christmas market, the most famous and probably the finest in France. 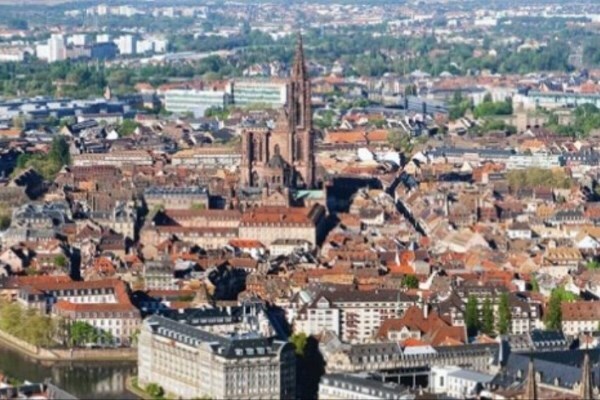 Sometimes called the "European capital" because of the presence of the European Parliament since 1957 and of the Council of Europe since 1949, Strasbourg is the administrative centre of the Alsace-Lorraine. It runs along the frontier with Germany; hence, the city experiences the results of a double culture, with both German and French influences. The Ill river crosses Strasbourg and surrounds the Grande Île island, an area listed among the UNESCO World Heritage sites since 1988, because of its medieval time traces. It is also known as the "island ellipse." 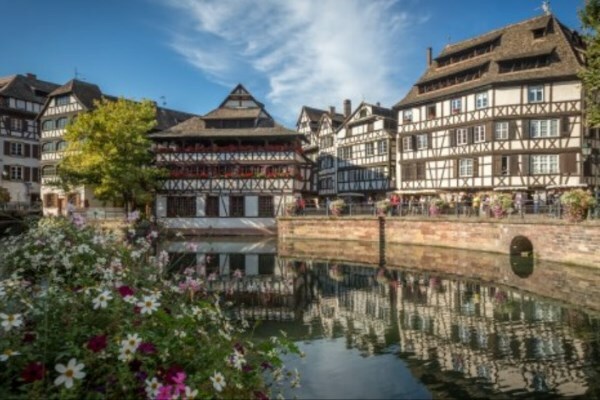 Between the 16th and the 18th centuries, many half-timbered houses were built in Strasbourg. There are a lot of those houses in the Petite France, a touristic and central district. The most renowned is the Maison des Tanneurs, the "Shoemakers' Guild." The town comprises a lot of museums, monuments and green areas: Notre Dame cathedral, on the Grande Île. 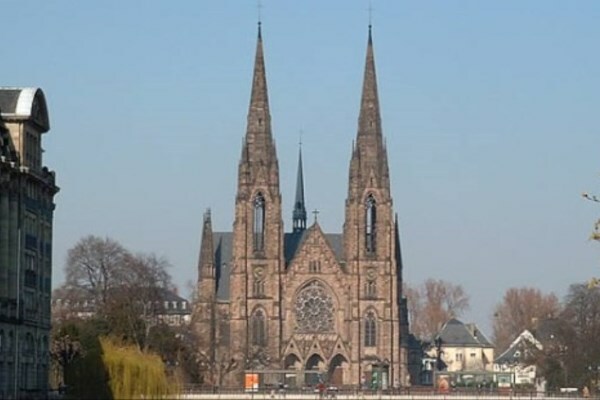 This is the most famous religious building in Strasbourg. You can also go to the Modern Art museum, the Alsatian museum, Rohan Palace, the Citadel Park, and the Orangerie Park: in the latter, you will discover Joséphine pavilion, erected in 1804, in honour of Joséphine de Beauharnais, Napoleon's wife. This is an ocean climate. Winters are cold, sometimes snowy; average temperatures are 2°C in January, and it can fall as low as -10°C. Summers are hot, with an average temperature of 20°C in July; it can reach 38°C. 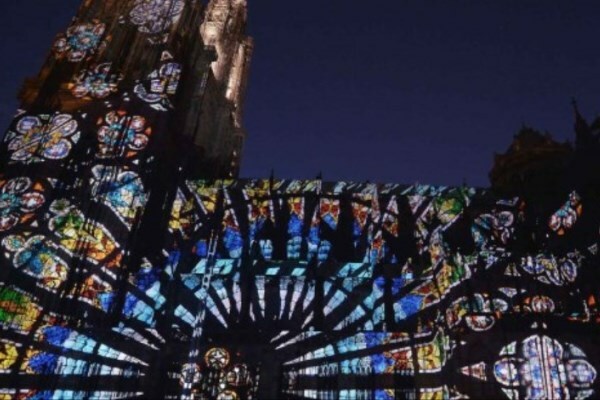 Every year since 1570, Strasbourg hosts one of the biggest European Christmas markets, scattered over 11 different spots: among them, the Place Broglie and the cathedral square, both located on the Grande Île. 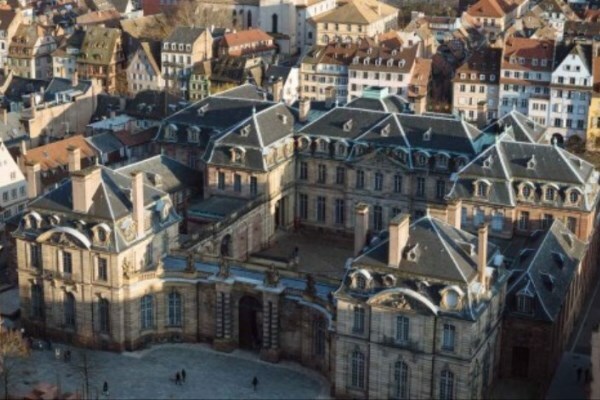 In the area of Krutenau, the Alsatian museum was founded at the beginning of the 20th century, you'll discover the Strasbourg of yesteryear by visiting the three houses, furnished and decorated like 18th and 19th century Strasbourg houses. Low budget: 78€ per night in high season, and 54€ in low season. Mid-range: 120€ per night in high season, and 65€ in low season. Luxury: 220€ per night in high season, and 100€ in low season. The Petite France, Strasbourg central area, is near the Grande Île. 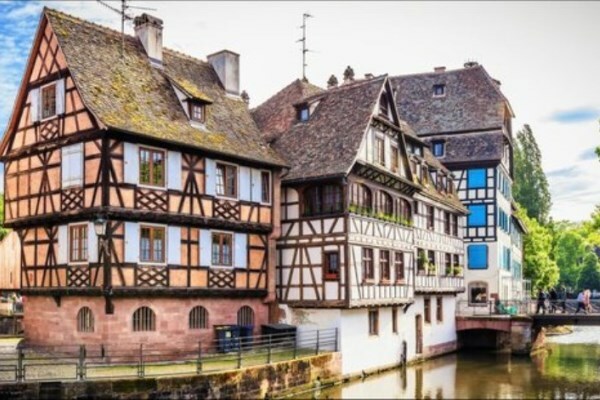 You can walk along the canals, and take a look at the Alsatian half-timbered traditional houses and the covered bridges. The Esplanade quarter, also known as Krutenau, is 10 minutes to the south away from the Grande Île and Strasbourg's cathedral. It was built on the same spot as a former citadel. 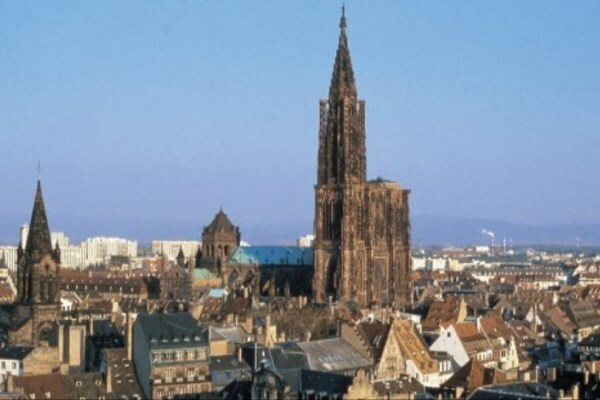 It comprises both the citadel's park and Strasbourg University.